Well you did it. 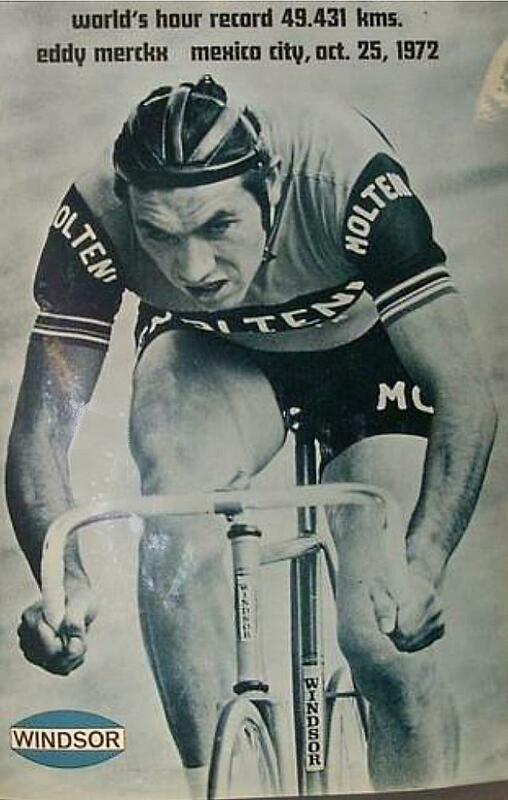 You put on another great Eddy Merckx Classic. 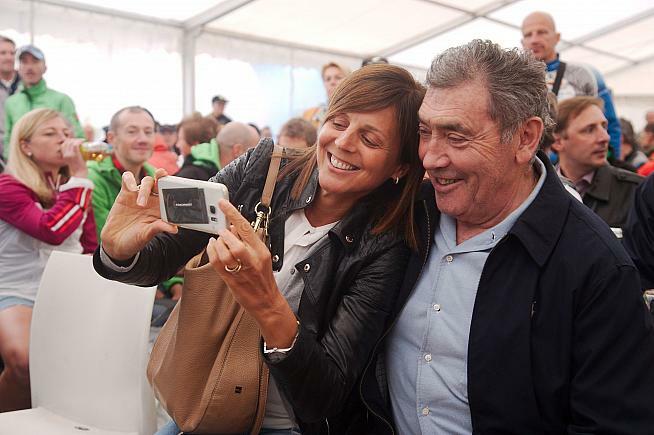 As someone who has a professional obligation to ride epic gran fondos (someone has to do it), when I received an invitation to the Eddy Merckx Classic in Austria my heart skipped a beat. Like you, my racing days are far behind, but I still enjoy riding and covering events. It's great when I find one that is beautiful, yet still filled with the excitement, drama, and the uncertainty of racing. Your event did not disappoint. Thanks for inviting me. 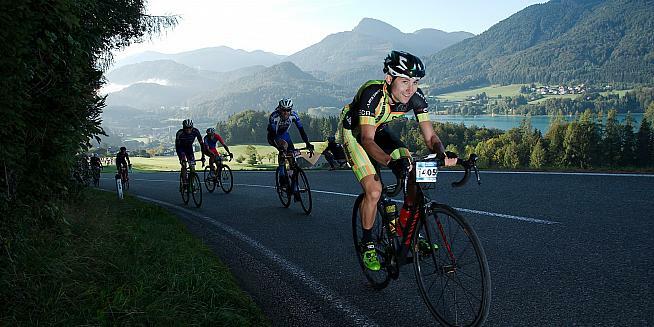 The Salzkammergut Lake Region is stunning, hard to imagine a better venue for your namesake event. Superb organization makes everything run with smooth Austrian efficiency. Plus, everyone I meet is super friendly and helpful. From the start in Fuschl am See as sunlight illuminates the peak above town till the last of 2000 riders finish in late afternoon shadows it is a perfect day to ride. I really like that little leg opener of a climb at the beginning to get things going. Starting in the 2nd wave it is an exciting exercise in slalom weaving through riders. 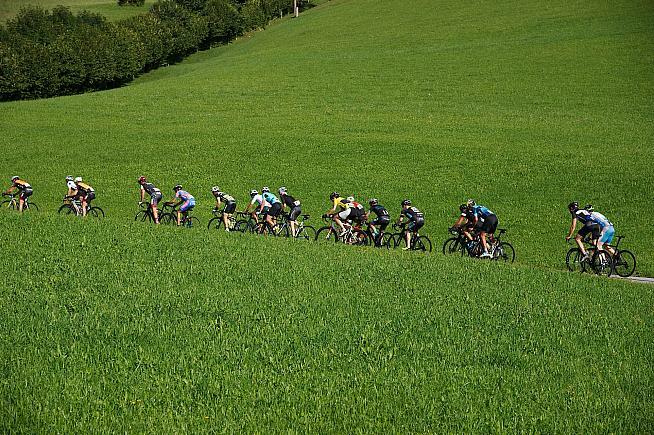 Riding on serpentine roads over lush green carpeted hills, past glistening turquoise lakes and through dense Austrian forests is something all riders need on their bucket list. With 62, 101 and 168km lengths every cyclist is certain to find a perfect course at the Eddy Merckx Classic, except me. 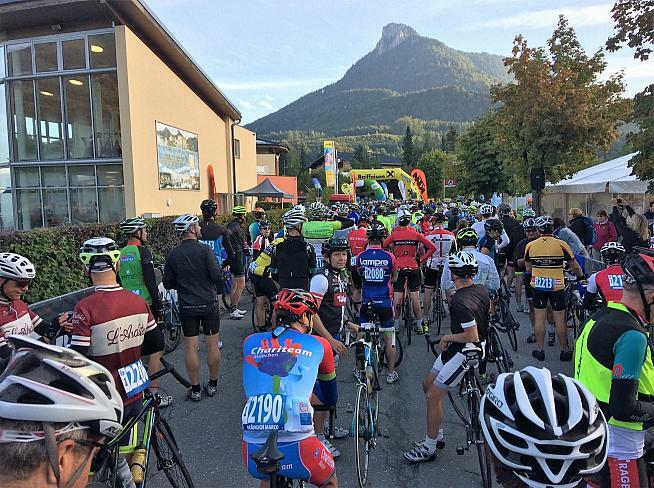 I rode the unofficial 125km Eddy Merckx Classic Detour. One little lost in translation moment set me on a new course - the wrong one. You see, at a roundabout my group split. Half go left, half right. Turning left, I check with riders using my best pantomime to make sure it is the 168km course. Austrians and Germans just stare at the crazy American waving hands and holding 1, 6 or 8 fingers in the air. Eventually, a rider says "Nein" and points backwards. Turning around I chase to rejoin the other group. Another roundabout provides opportunity for more drama, but this time I see the 168km arrow and know where to go. Other riders, all of them, follow the 101km arrow. That's odd I muse. Anyhow, it's a beautiful day to ride so I pedal forward, solo, soaking up Austrian sun and wonderful views. Soon I get a sharp dose of reality at an intersection without arrows, signs, course marshals or any riders in sight. It all adds up now, I've detoured off course. Way off course. Damn, I should have stayed left at that first roundabout. I'm adrift in Austria. No map. No phone. No pump. No euros and limited German vocabulary - Bier, Apfelstrudel, Kaffee, Ja, Nein, Hallo and Danke. Austria is my Bermuda Triangle. Riding in a clockwise direction I figure will put me back on course, eventually, if I pay attention. Those arrows are kinda small...just sayin. Many kilometers later I see an arrow and soon a timing station with attendant. "Is this the 168km course?" I ask. "Yes. Are you the first?" "Uhhhh...don't think so." It's indisputable now. Somehow, I took a detour, got lost, cut the course and now ride ahead of 168km racers. If they catch me I'll be DQ'd. If I finish in front of them I'll be DQ'd. It's a no-win situation. I know, I know it's my fault since it's the rider's responsibility to know the course. Now confidently back on course, fantastic mountain landscapes, imposing Alpine peaks and pristine fields swaying in light breeze help improve my spirits. Stopping to admire historical towns like St. Gilgen with its 15thcentury gothic church nestled on the edge of Lake Wolfgang is unforgettable. Back in Fuschl am See I try to sneak into town, bypassing the official finish to avoid embarrassment and controversy. An overzealous volunteer insists I stay the course. Sheepishly, I roll down the finishing straight where a nice lady informs me with Austrian efficiency of my disqualification. Notwithstanding my fate, any day on a bike is a good day, even with a detour and DQ. 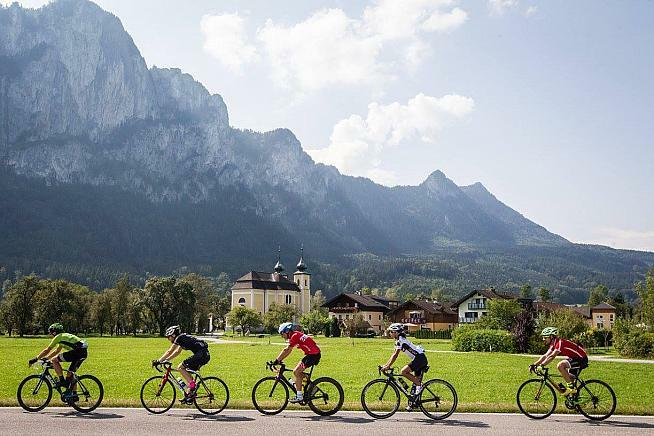 Austria is paradise, cycling paradise.